Those who are in the metropolis of Charlotte can get the palms they need when they choose to use a Quality Plant for their palm needs. Wholesale Palm Trees For Charlotte, North Carolina are ready available from the vendors at A Quality Plant your palm tree specialists in the South West Florida area. Get your palms from us and enjoy the look and feel of great palms that sway in the breeze and give a hint of the tropics with their every movement. Find the quality palms you are looking for and make sure that you have the options you need when looking for a beautiful landscaping feature that people have used for centuries. These are elegant manifestations of tropical living . Wholesale Palm Trees Charlotte, North Carolina can be yours for the asking. 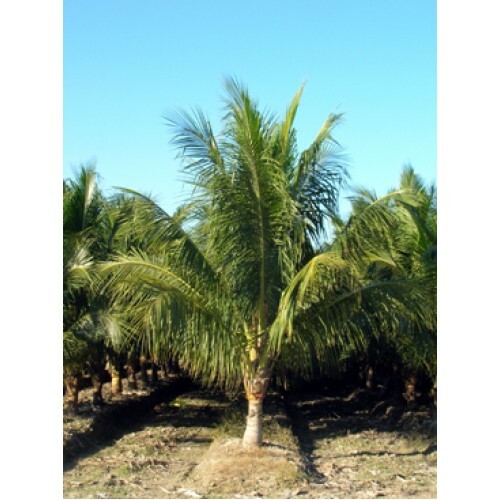 We are a long established business in the Ruskin, Florida area that has many species of palms available for consumers and business establishment alike. We do most of our business in the Florida area, but can ship to nearby areas as well, making sure you have the choice in palms you love and can use. Utilize our company for nearly any type of plam you are looking for and get the choices in palms that will make your business or residence stand out. We are experts in the growth and management of palm trees and can make sure we give you the variety you are looking for. bearing conditions and weather in and whether an outdoor or indoor environment. Since we are a nursery we have loving raised all sorts of palms an have many types available. These would include the always popular potted palms, specimen palms, and cycads as well as tall towering palms, field palms and tropical foliage. It is safe to say whatever your preference in palm types we can provide them for you. Our expert customer service staff can also guide you in your choice of palm or palmetto to choose by learning a bit about your area, weather conditions and types of palms that might be suitable for you. It is one of the things you need to understand when looking for palms. Remember that the Carolina's may not be suitable for all types of palms so consultation with our staff about your environment may help you make a decisions about what your needs are in terms of palms. Shipping costs may be prohibitive for smaller orders, as customers are responsible for their own trucking costs but we can sometimes combine loads to help with the cost of shipping. These are some of the options when ordering from us. Make certain to take advantage of the options you can use when it comes to palms and palm trees. Make sure to get quality palm when you choose to buy Wholesale Palm Trees, Charlotte North Carolina and leave the delivery to us. Join the many satisfied customers throughout the South, and use our agency to give you the palms of your dreams. Poolside, in office or other environments they can be what you need.